The violin transcends time. Used in both formal and festive settings, this instrument is used to convey a journey or to simply get people up to dance. The artisans bring both into one piece of art. 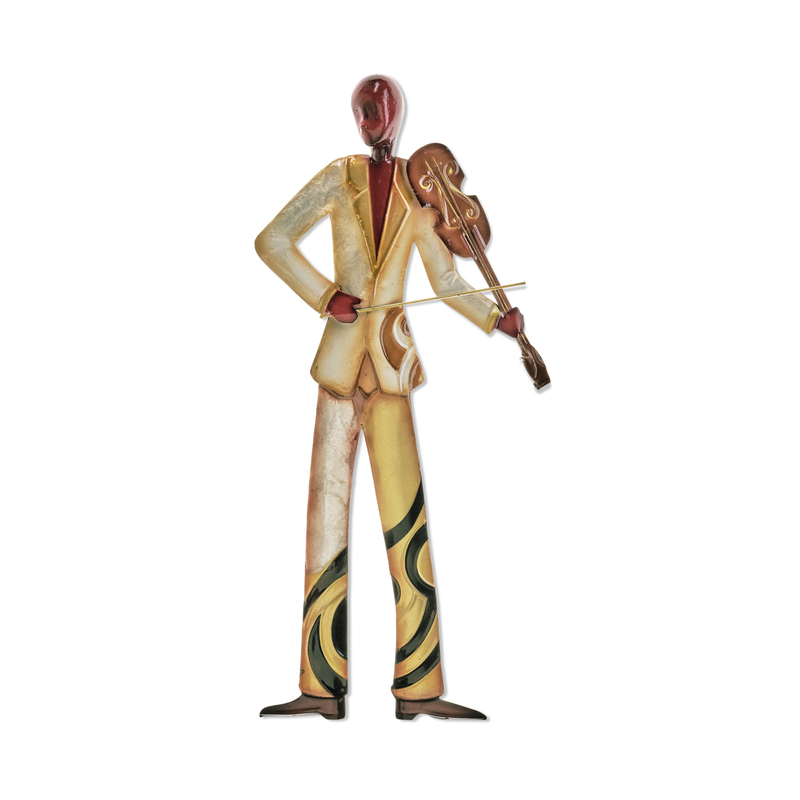 The formal wear of the violinist invokes the classics while the color and shading of the clothing represents the festive. The well-dressed violin player is partially adorned with capiz giving it a shimmer as it reflects light, again bringing out the festive side of the instrument. 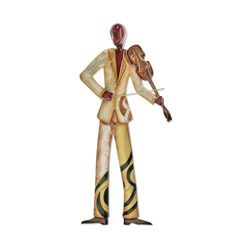 The frame of the Violin Player Wall Decor is created using tin, which is powder coated in a black finish. The frame is reinforced using wrought iron wire inner edge or outer edge. Capiz is an oyster shell and the primary purpose of the oyster is as a source of food. However, the by-product, the shell, can be used for decoration. Due to it being a natural material, the natural colors of the capiz can come through as tans and browns underneath the paint.